Colorado Web-based incentive management software, incentive related consultation, incentive rewards fulfillment. 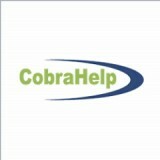 provides bookkeeping and support services for small business in Denver and Aurora. Safety-leadership training, Safety-leadership coaching, Safety-leadership development, Safety-leadership consulting, Culture-change management, Safety-culture e-books, Key-note addresses.